Tokyo’s Harajuku district is about fashion first and foremost, but it’s still a multi-faceted part of the city. The narrow alley called Takeshitadori is where you’ll find outlandish teen trends, while Omotesando is the wide, tree-lined boulevard where international fashion houses have their flagship stores. Then there are the backstreets collectively known as Ura Hrajuku (“Inner Harajuku”), where up-and-coming designers display their wares. 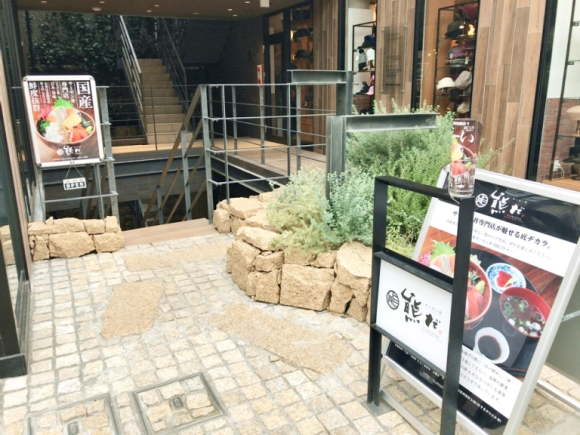 As of the end of last month, though, Ura Harajuku is also where you’ll find a restaurant called Kumada. Kumada is a relatively common family name in Japan. Meaning “bear field,” it’s usually written in Japanese as 熊田. However, this restaurant’s sign says 熊だ, literally “we are bears,” and once you take a look at the menu, you can see why. 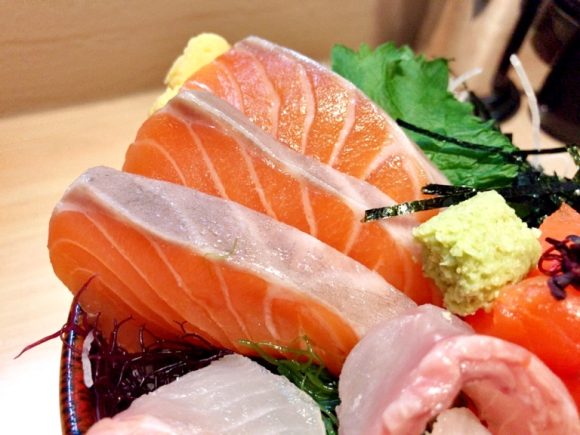 In Japan, tuna gets the biggest share of the sushi and sashimi glory. But salmon is also an incredibly popular choice to be eaten raw, and it often beats out tuna in sushi preference polls. And so Kumada dedicates itself to the favorite fish of many sashimi lovers and just about all bears, serving a menu made up almost entirely of salmon sashimi bowls. 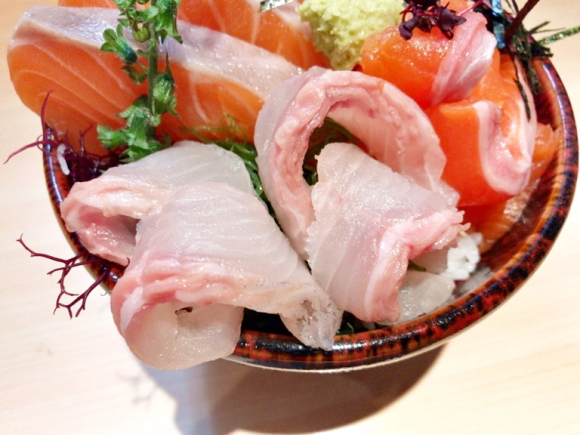 Bowls start at a reasonable 980 yen, and available toppings include Nagano-caught Shinshu salmon, Miyazaki-sourced Nishimera salmon, and even seared aburi salmon for those who don’t like to eat their fish as raw as actual bears do. 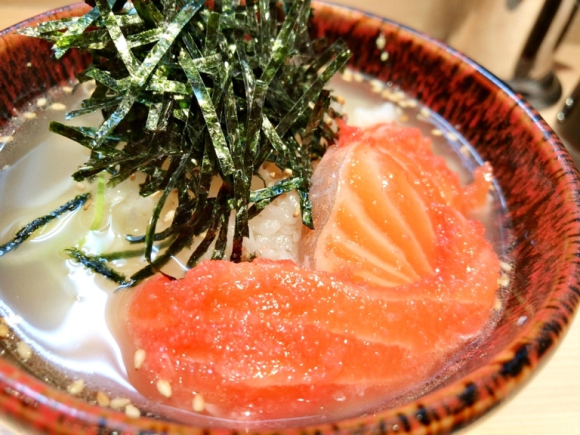 Since Kumada’s ursine allusions had us feeling extra hungry, we decided to splurge on the 1,580-yen Salmon Sanshu Tabekurabe Bowl, which comes with three kinds of fish, like a sashimi sampler served over rice. The first component we tasted was the Norwegian salmon (pictured above), which was moist, firm, and delicious. 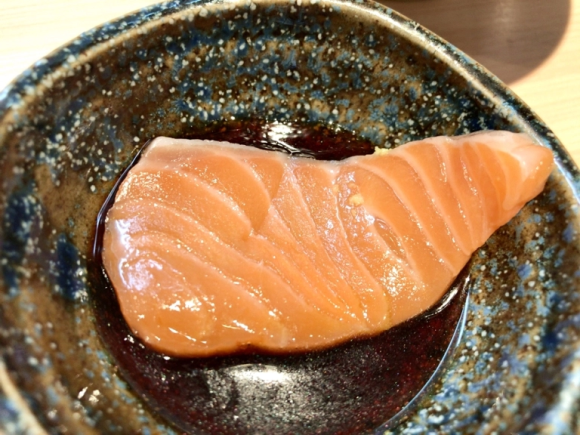 Equally tasty, but in its own way, was the Japanese Shinshu salmon, with a smoother, more refined taste. 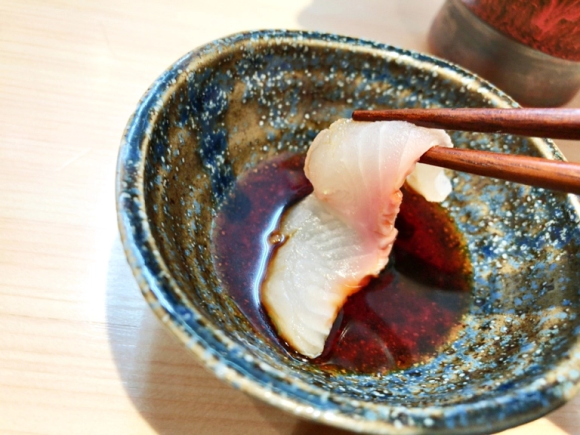 Our final topping was yukimasu (maraene), a whitefish also caught in Nagano. It’s technically not salmon, but it has a texture and sweetness not far removed from sea bream, and so we were happy to have it in our bowl, and the flavor made for a great combination with our two types of salmon. 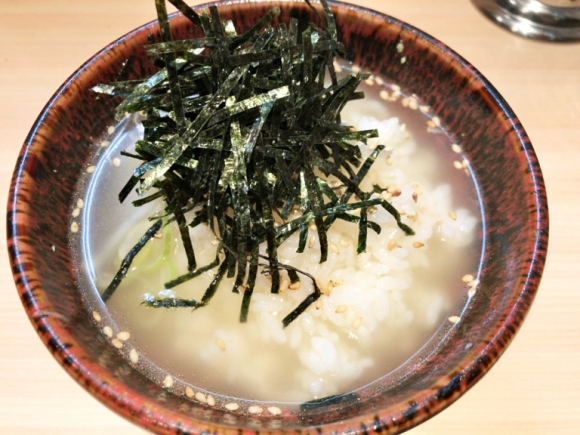 Once you’ve finished off your toppings, it’s time for yet another great part of the meal, an included in the price of all Kumada’s sashimi bowls is free ochazuke, made by pouring hot green tea over the rice and sprinkling on thin-cut nori seaweed and sesame seeds. You also get one last piece of salmon sashimi, served with a pat of mentaiko (spicy cod roe). 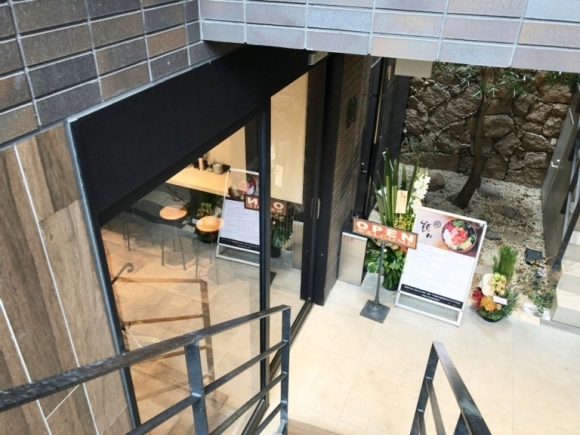 Kumada just had its grand opening on Dec 29, but with a great location that’s an easy walk from Harajuku or Meiji-jingumae Stations, we look forward to going back often whenever we feel the need to get in touch with our inner bear. 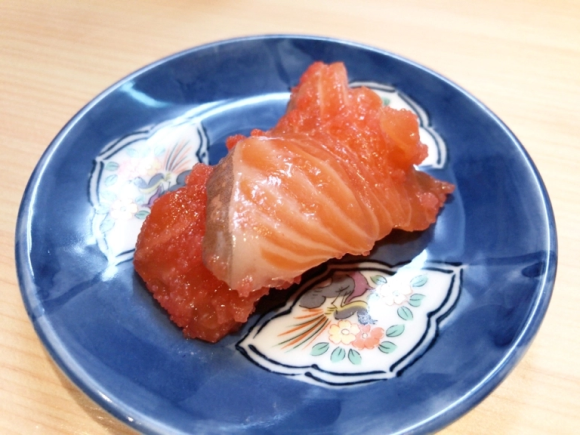 -- All You Can Eat salmon for 999 yen at IKEA’s Salmon Festival!